(Reuters) - Alcoa Inc , the biggest U.S. aluminum producer, said it would cut 147,000 metric tons of capacity at two smelters in Brazil to stem a growing global surplus that has depressed prices and made a large number of plants un-competitive. Benchmark aluminum prices rose about 1.5 percent to a session-high of $1,763.25 per ton on the London Metal Exchange on Friday, after Alcoa's announcement. Since October, Prices have remained under $1,800, close to or below the cost of production at a large number of plants. Many companies, including the world's biggest aluminum producer Rusal and rival Rio Tinto Ltd , have shut plants, but big smelters in China, the world’s largest producer, show no sign of cutting output. China accounts for about 30 million of the world's 50 million tonne annual output. "Aluminum prices can only go up if we see cuts in production and capacity on a large scale," said Daniel Briesemann, an analyst at Commerzbank. "As long as some cuts are being outweighed by opening of new capacities in places such as the Middle East and other countries where power is cheap, then that doesn't make a difference to the entire market," he said. The price of aluminum - used in the aerospace, construction and automotive sectors - has fallen about 37 percent since May 2011, when it touched a high of $2,800 per tonne. 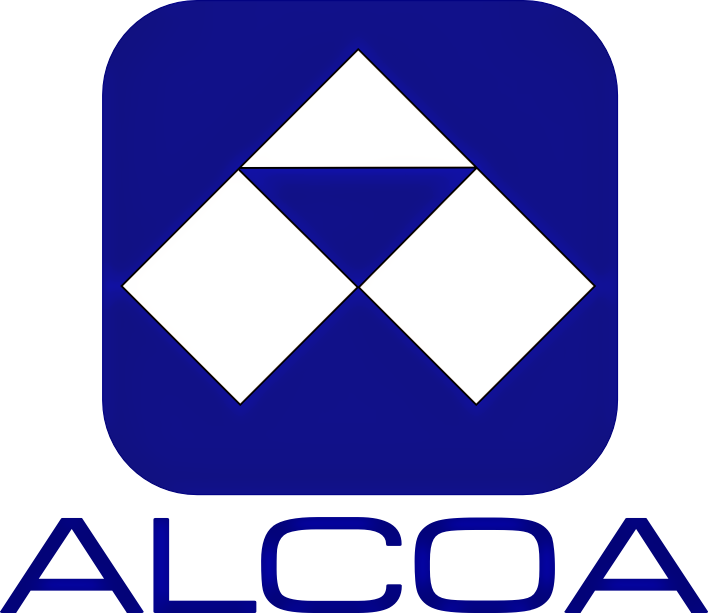 Alcoa expects to cut its smelting capacity by about 800,000 metric tons, or 21 percent, once it completes all announced curtailments and closures, including those at Sao Luis and Pocos de Caldas smelters in Brazil. Alcoa said last month it would close its 50-year-old Point Henry smelter and two rolling mills in Australia. While the company has been the most aggressive in cutting older capacity that is less efficient, it is also focusing on commissioning its massive new Ma’aden smelter in Saudi Arabia. The smelter will have a capacity of 740,000 tonnes per year and will be one of the lowest-cost plants in the world. 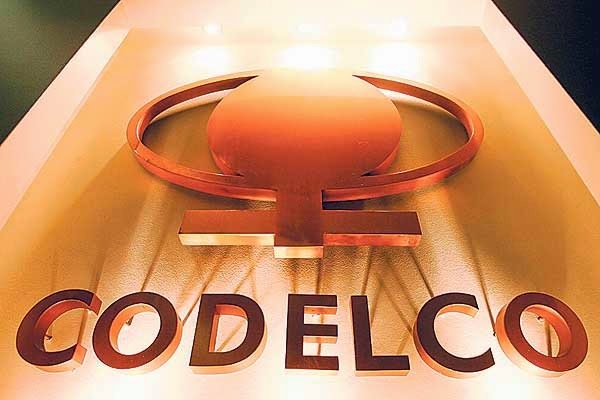 The company said capacity cuts in Brazil, where power costs have gone up, are expected to be complete by the end of May. Alcoa said it expected to take after-tax restructuring charges of $40 million to $50 million, or 4-5 cents per share, in the first quarter ending March 31 due to the capacity cuts. The company's shares were little changed at $12.54 in early trading on the New York Stock Exchange. Beijing and Berlin agreed to launch an offshore yuan trading centre on Friday as President Xi Jinping visited Germany on the third leg of his European tour. The central banks from both countries - the Bundesbank and the People's Bank of China - signed a Memorandum of Understanding in Berlin to allow the clearing and settlement of yuan trades in Frankfurt. The centre, in Germany's financial capital, will be the first of its kind in the eurozone. It forms part of a series of deals the two countries signed on Friday, which sources say could be worth billions of euros. China will also set up a consulate in Duesseldorf. The trading centre will be a "great facilitator for both China-Germany trade and China-EU trade", said Meng Hong, an expert on Germany at Renmin University of China. 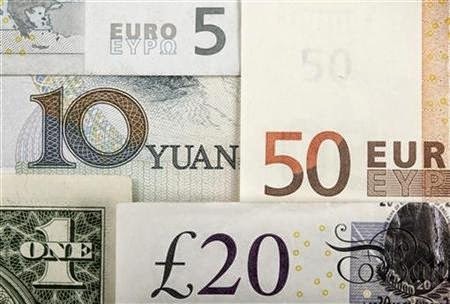 Maggie Zhao, a senior associate at the law firm Clifford Chance in London, said the agreement demonstrates a commitment by both governments to work together on yuan internationalization. "It shows that the Chinese government is keen to support the yuan's internationalization, and that the German government is keen to support its financial services industry to get more involved in the yuan internationalization process," Zhao said. In his meeting with German Chancellor Angela Merkel, Xi said deepening bilateral relations between the two countries will be beneficial to Europe and the world. He said the next five to 10 years will be a key period for mutual growth. The two countries will also set up a new dialogue mechanism on diplomacy and security, he said. Merkel thanked China for its support and trust in the euro during the eurozone crisis and vowed to strengthen yuan cooperation with Beijing. It is the first State visit to Germany by a Chinese president for eight years. During the two-day visit, leaders of both countries will map out the direction for bilateral relations in the next five to 10 years. After arriving in Berlin on Friday morning, Xi said cooperation between China and Germany has been fruitful since the countries established diplomatic relations more than 40 years ago. Both nations now share broader common interests and new cooperation opportunities, he said. Germany is China's biggest trade and technology partner in the European Union. Bilateral trade volume reached $161.6 billion in 2013, 580 times that of 1972 when the two countries established diplomatic relations. Claudia Schmucker, head of the Globalization and World Economy Program at the German Council on Foreign Relations, said Germany and China are very much reform-oriented. "Therefore, I believe that the Germany-China economic and trade relationship will continue to increase and deepen in the upcoming years," Schmucker said. "Germany has always played a pivotal role in the EU-China relationship and this will continue." German Ambassador to China Michael Clauss said, "We have growing German investment into China and we also wish to have more Chinese investment into Germany. " He said Chinese investment in German companies is very welcome, including medium-sized and small companies. "Germany has profited from this a lot in past decades, so it really is a win-win situation," the ambassador said. On Saturday, Xi will visit North Rhine-Westphalia to await the arrival of a train loaded with IT products on a 16-day journey from Chongqing. You can get the same Economic Calendar at https://www.dynamiclevels.com/economic-calendar. 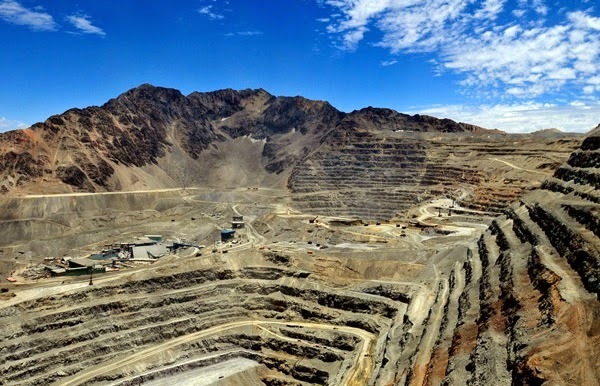 Indonesia has reached a deal over export taxes with U.S. mining company Freeport-McMoRan Copper & Gold Inc , allowing nearly $4 billion worth of annual copper shipments to resume as early as next month. Freeport and fellow U.S. miner Newmont Mining Corp have halted copper concentrate shipments since January, refusing to pay an escalating export tax that they say breaches their contracts. The export tax was introduced as part of a series of mining rules, which include a mineral ore export ban, to force companies to build smelters and process raw materials in Indonesia. "We have solved the problem," Deputy Finance Minister Bambang Brodjonegoro said at the Reuters ASEAN Summit. "We will link the export tax, which is more like an export fee, on to the progress of the smelter development." To win a tax reprieve, Freeport agreed to pay the government a 5 percent security bond to build a smelter and sign supply agreements with smelter-building companies, Brodjonegoro said. The final government regulation is expected to be published in the next few weeks, allowing Freeport to resume exports by the end of next month, he said, from the world's fifth-largest copper mine in remote Papua. "We are continuing to work with government officials to seek a resolution to these matters as soon as practicable so that normal operations can resume without adverse impacts to our workforce, the local community and our customers," Freeport spokesman Eric Kinneberg said in an email. Shares of Freeport ended 2.3 percent higher at $32.41 on the New York Stock Exchange. Any mining company that takes action similar to Freeport's will also be given a reprieve from the tax, which is set at 20 to 25 percent this year and rises to as much as 60 percent by the second half of 2016. Newmont, which owns the smaller Batu Hijau copper-gold mine in Indonesia, was continuing to work with the government to try to secure a six-month export permit, company spokesman Omar Jabara said. Newmont was also in talks, along with Freeport, around supplying copper concentrate to a proposed smelter that Indonesian state-owned miner PT Aneka Tambang, or Antam, is considering building in the country, Jabara said. Earlier on Thursday, a trade ministry official said it had approved Freeport's export certification but that it would still need approvals from the mining and finance ministries. Freeport has reduced copper production at the mine in Papua by 60 percent, and its nearby mill was operating at half its normal capacity, due to the tax dispute. As of next week, Ukraine will pay nearly 80% more for Russian gas. This means Moscow might charge Ukraine "close to $500 for 1,000 cubic meters of gas," according to the New York Times. 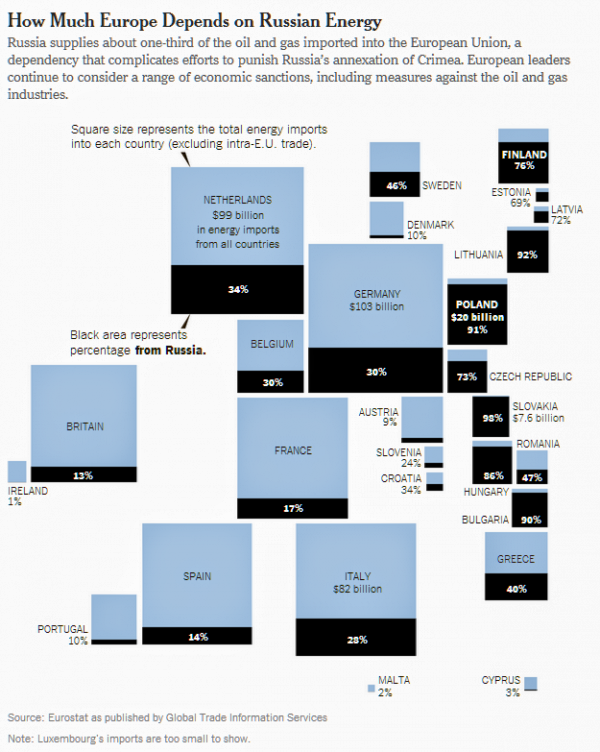 Ukraine uses gas for about 40% of its energy needs, and more than half of that supply comes from Russia. Earlier this month Russia said it would no longer provide Ukraine with discounted gas. Under the agreement signed in 2010, Russian gas flowed cheaply into Ukraine and, in exchange, Russia was allowed to extend its lease on a military base in Sevastopol, Crimea. Now that Russia controls Crimea, it doesn't need the gas deal. 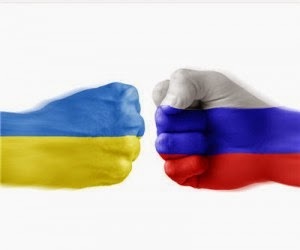 "Russia, because it committed armed robbery of Ukraine, and in this way in fact destroyed our bilateral agreement, wants to raise the price of gas for Ukraine,” Ukrainian Prime Minister Arseny Yatseniuk told reporters, as reported by the New York Times. Ukraine has since secured $27 billion financing deal with the International Monetary Fund (IMF) to help stabilize the economy. Silver has been in a bear market for almost three years and the recent lack of strength suggests the metal could be headed for new lows. New lows are always bearish until the last one. Our technical work suggests that we should watch for a final low and end to the bear market in the coming months. 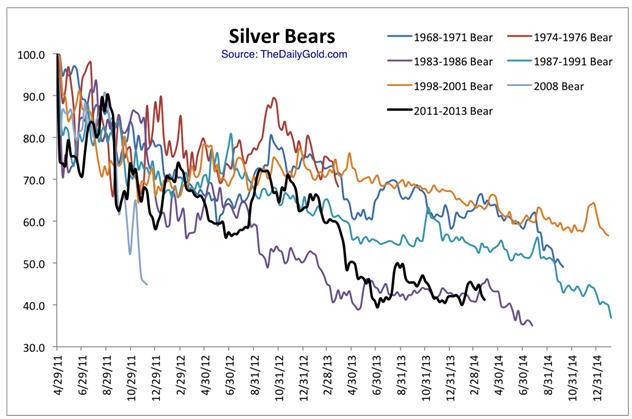 This chart plots every major bear market in Silver dating back 45 years (excluding the 1980-1982 bubble bust). It plots them on the same time scale as the current bear market. Excluding the 1980-1982 bear market, we find that the current bear market is inline for being the worst bear market. It is already the fourth longest in time and close to the second worst in price. The current bear is very close to the 1983-1986 bear. This chart and the 1983-1986 bear suggest that if the current bear breaks to a new low then its final bottom could occur about one month later. Silver has very strong trendline support on the daily chart around $17. 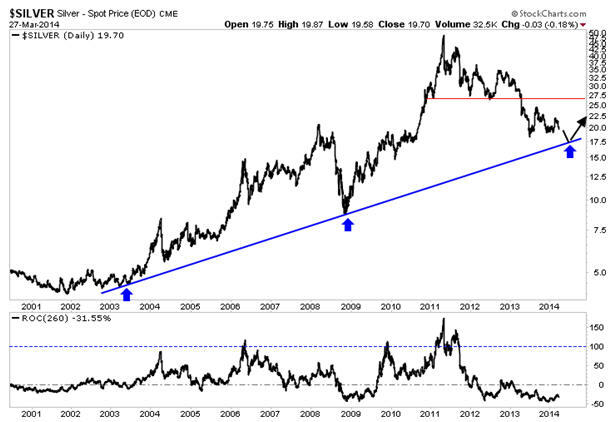 If Silver breaks to a new low then it will run into this trendline support which dates back 11 years. In the lower column we plot a 12-month rate of change for Silver. Note how it often reaches or comes close to 100%. 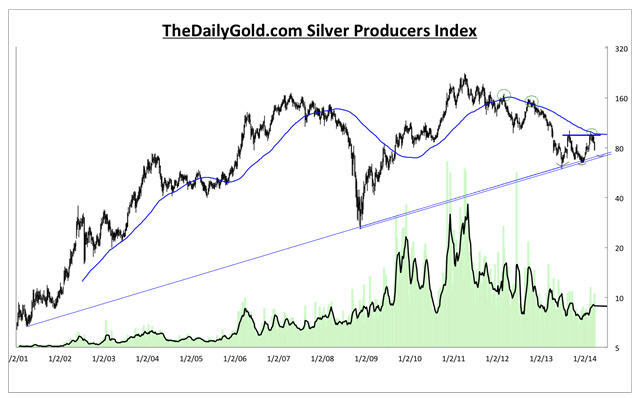 After lows in 2003, 2005, 2008 and 2010 Silver gained 100% in a 12 month period. Moreover, following the 1983-1986 bear market which closely resembles the current bear, Silver rebounded 89% in 10 months. Following the 2008 low, Silver rebounded 84% in 11 months. Let’s say Silver bottoms at $17.50 and rebounds 70% in 12 months. That would take it to $30. That would create huge upside in most silver stocks. Below is a chart of our proprietary silver producers index which contains 14 stocks and is partially weighted by market cap. It contains all of the large, important silver companies as well as junior producers. We didn’t just pick the 14 best. This index recently peaked at neckline resistance and just below the 80-week moving average. Note how the 80-week moving average marked resistance in early 2012 and late 2012. A new bull market will only be confirmed when this index is able to surpass that confluence of resistance. From a bird’s eye view, the bear market in Silver is just about over while the bear market in silver stocks probably is over as we don’t expect them to make a new low. However, the silver stocks won’t break resistance and confirm a new bull market until Silver has bottomed. 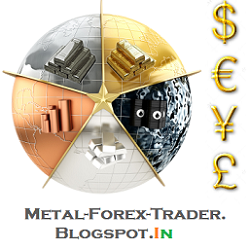 Our analysis shows that Silver’s bear has a bit more to go in terms of price and time. We’ve laid out what we are looking for in Silver which is a new low and a bounce from 11-year trendline support. If that occurs at a time of extreme bearish sentiment then it is a buy signal. This prognosis, if correct means we have some time to research and patiently accumulate the best silver stocks which are positioned to benefit from a resumption of the secular bull market. After boosting bets on higher gold prices,hedge funds may hesitate from buying more of the metal on expectations for higher U.S. interest rates and unless the standoff between Russia and the West intensifies, UBS AG said. The CHART OF THE DAY shows that speculators and other money managers increased their net-long positions, or wagers on a rally, to the highest level since November 2012 in the week ended March 18. The buying of gold futures and options helped prices reach a six-month high on March 17. It fell as much as 6.3 percent since then. Gold rebounded from the biggest annual drop in three decades as Russia’s move to annex Crimea spurred demand for a haven. Federal Reserve Chair Janet Yellen said on March 19 that that the central bank’s benchmark rate may rise about six months after monetary stimulus ends later this year. Prices rose 70 percent from December 2008 to June 2011 as the Fed pumped more than $2 trillion into the financial system and cut interest rates to boost the economy. Gold has climbed 8.8 percent to $1,311.63 an ounce in London since the end of December, after dropping 28 percent last year, and reached $1,392.22 on March 17. Speculators are holding a net-long position of 138,429 contracts, U.S. Commodity Futures Trading Commission data show. Prices were above $1,700 when the wager was last that high. Top industrial powers threatened stiffer sanctions to deter Russian President Vladimir Putin from seizing more of Ukraine. 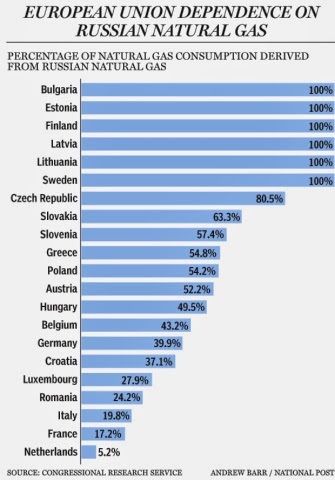 U.S. and European Union have focused mainly on imposing asset freezes and visa bans on individuals. Putin said he doesn’t plan to further split up Ukraine after Crimea voted to join Russia. Contract workers staged Monday a massive a protest at Anglo American’s Los Bronces copper mine in central Chile, as the company refused last week to negotiate their demands. SANTIAGO (Reuters) - Global miner Anglo American Plc <​AAL.L> said on Monday it was halting operations at its Los Bronces copper mine in central Chile because of a violent protest by contract workers. While Naftogaz (Ukraine's gas pipeline operator) states that all gas transportation from Russia to Europe is running normally, Bloomberg reports that Russian natgas exports to Europe are declining. Shipments are down over 4% from the prior week and also lower to Ukraine. This 'adjustment' follows increased sanctions by the West as Medvedev's notable statement this morning that Ukraine owes Russia $16bn. Ukraine owes Russia $11b after collapse of 2010 deal, Russian Prime Minsiter Dmitry Medvedev says to President Vladimir Putin at Security Council meeting, according to transcript on Kremlin website. Russian natgas exports to Europe and Turkey, excl. former Soviet Union, declined to 405.3mcm as of March 22, according to Bloomberg calculations based on preliminary data from Energy Ministry’s CDU-TEK unit. Russia is now asking close to $500 for 1,000 cubic meters of gas, the standard unit for gas trade in Europe, which is a price about a third higher than what Russia’s gas company, Gazprom, charges clients elsewhere. Russia says the increase is justified because it seized control of the Crimean Peninsula, where its Black Sea naval fleet is stationed, ending the need to pay rent for the Sevastopol base. The base rent had been paid in the form of a $100 per 1,000 cubic meter discount on natural gas for Ukraine’s national energy company, Naftogaz. Aside from actually having its own currency code (XPD), palladium is widely used in a variety of industrial applications, from spark plugs to catalytic converters to hydrocarbon ‘cracking’ to electronic components. And here’s something most people don’t know: most of the world’s palladium is mined in Russia. Since October 2013, Palladium prices have had a moderate boost—about a 5.3% increase in five months. But given what’s happening in Russia, prices could soar. In fact, with trade sanctions looming, palladium could be taken off the world market indefinitely. As the following chart shows, palladium has just broken out to a new 52-week high and is showing strong upward momentum. Moreover, if you look at the 5-year chart, it could be about to break out to even longer-term highs. I would consider buying palladium today, with a stop-loss order to protect your capital, at $759. That means if the market should prove this thesis wrong, the loss would be limited to just 4%. I think the near-term upside target is the 5-year high of $855. That’s about an 8% gain from where we are today. An upside of 8% versus a downside of 4% makes palladium a good risk/reward trade, given that the odds of the higher-price outcome are much better than the odds of the lower-price outcome. But if tensions between the West and Russia escalate and trade sanctions stay in place for a prolonged period, $855 could be a very conservative upside target for palladium. The last time Russia withheld palladium supplies from world markets back in 2000, the price rose 151% from a low of $433 in January 2000 to over $1,090 an ounce by January 2001. In a scenario like that, palladium would be an incredibly profitable trade. One easy way to take a position in palladium is via the ETFS Physical Palladium Shares (PALL on the New York Stock Exchange). A new physical palladium ETF sponsored by Standard Bank has also just launched in South Africa. And Absa Bank, which already sponsors the world’s largest platinum-backed ETF, has also announced it will launch a palladium ETF called NewPalladium. It will list on the Johannesburg Stock Exchange on March 27th. These new palladium ETF launches, coming at a time of tightening supply due to Russian sanctions, could easily add more upward momentum to palladium prices, as they will withdraw supply from the market to physically back their shares. However, if you want to avoid the possibility of any counterparty risk, there’s no substitute for owning the physical metal yourself. The Royal Canadian Mint has in the past minted palladium versions of its very popular and instantly recognizable Maple Leaf bullion coins. You can also buy 1 troy ounce palladium bars from most major dealers. Would America Go To War With Russia? Another day of copper price plunge. 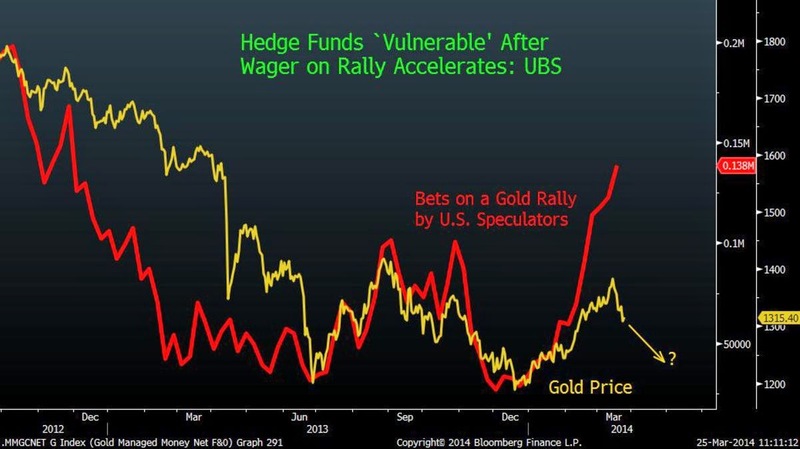 Citi: Is This Gold's Breakout Week? USD INR at Support Level.